Taking on a leadership position can be a very rewarding but also draining experience. 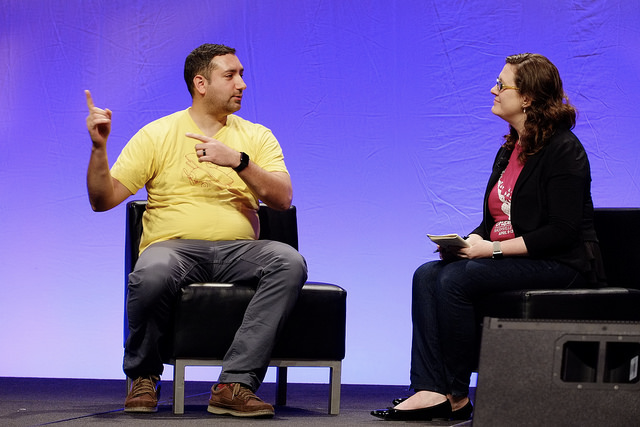 I’d like to share some of the exciting things that stood out to me at DrupalCon in terms of leadership. In the last few years, I was able to take on a number of different leadership positions such as CTO at Amazee Labs, running the #d8rules initiative or co-organizing camps in Austria and Switzerland. To me, it’s a deeply satisfying experience to be part of a team that works towards a common goal and see myself being able to help drive us to be successful. At the same time, leadership always felt very difficult to me. Why wasn’t I able to take decisions effectively? Why wouldn’t others follow my advice as I wanted them to? Looking up to other leaders at work and in our community is really valuable to me. It allows me to feel inspired, keep improving, and relate my own struggle to the struggles of others. I’d like to share an overview of the things that inspired me during this DrupalCon Nashville. The Diversity & Inclusion team ensured me that fighting for a common cause with a well structured approach can lead to great results. 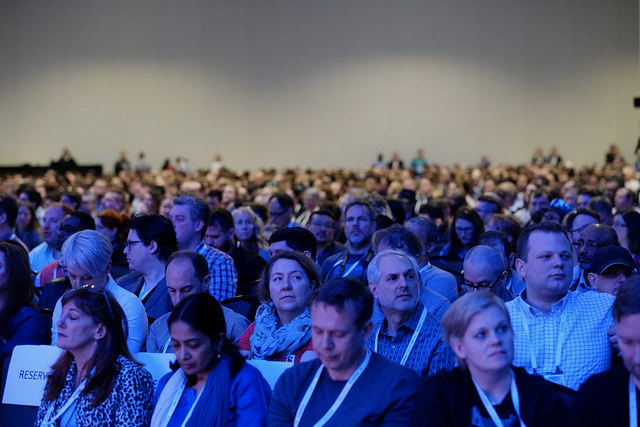 This DrupalCon featured 40% speakers who identified as part of an underrepresented group. This is an awesome achievement and I appreciate the group and the DrupalCon program team who made this possible. I also really like how D&I tries to lead by example as they extend their attribution system to credit for non-code contributions such as attending an initial meeting. Finally, Nikki Steven handed over initiative leadership to Fatima and they mentioned how helpful it can be to distribute ownership of an initiative to make sure the cause is more important than the actual person leading it. The Community Working Group (CWG), together with Jordana & George, explained their approach to ensuring safety within the Drupal Community. I appreciate the hard work they put into such a thoughtful process that helps us deal with difficult situations. An important aspect of the communication is to always try to separate internet and impact. A person might have the best intentions when they do something, but it is also really important that they understand the impact their actions have on others. A lot of the work that the CWG does goes into the mediation process. This brings disagreeing parties together to reach an understanding their own actions and how others feel about it. Not every difficult situation can be solved in a mediation process so it was great to learn that the CWG also relies on a careful process that leads to taking action if needed. On Tuesday I was able to attend a Leadership workshop that was organized by the CWG and facilitated by Adam Goodman, Chairman of the Drupal Association. Adam is Director for the Center of Leadership at Northwestern University and I really appreciated his thoughtful approach to this workshop. Together as a group of roughly 50 attendees, we used individual and group exercises to discuss our different perspectives on leadership. Adam was able to make sure that there was a balanced discussion, added plenty of valuable insights, and reassured us that leadership is not always an easy topic. There was also a controversial discussion about the boundaries of leadership and I would like to thank Donna Benjamin for writing her thoughts on it. 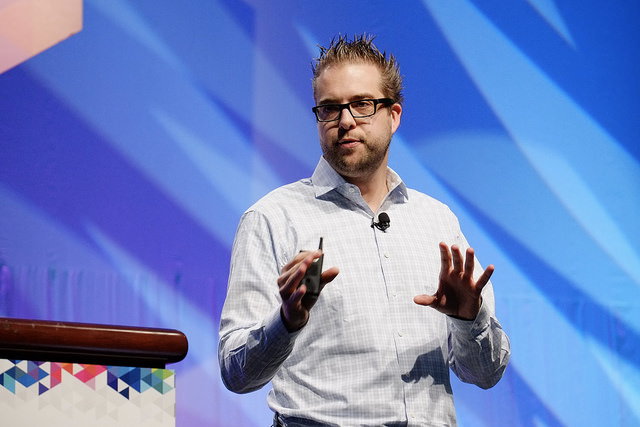 In his keynote, Dries took a good amount of time to reflect on the leadership of Drupal. 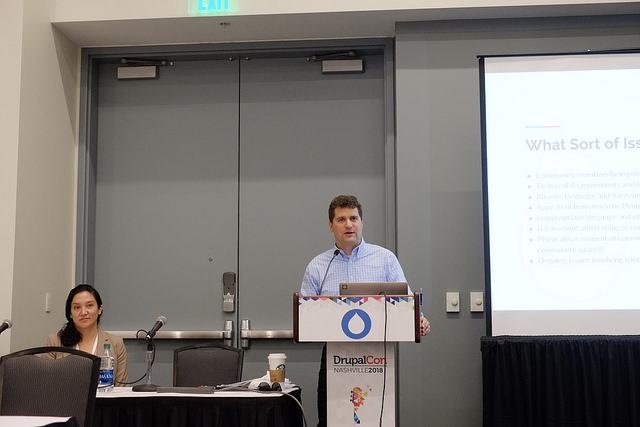 In his section on fostering the community, Dries presented his version of Drupal’s values and principles. I think this is an exciting move forward for us as a community to being able to define and iterate on our values and principles definition. I like how Dries stressed that he put a lot of effort into working on those but at the same time, that he also recognizes that they by no means will be perfect from the beginning. 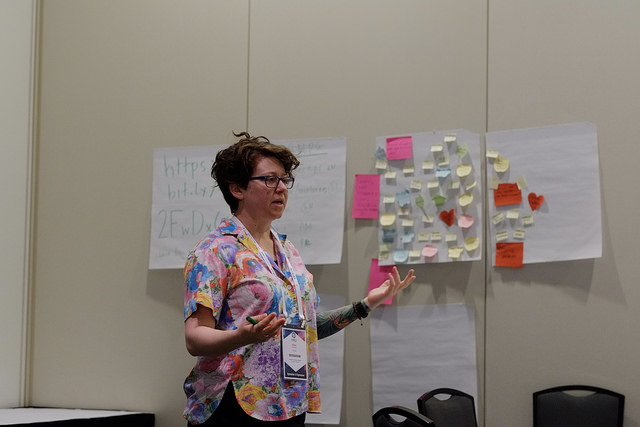 We’ll need a good amount of feedback & collaboration to help make sure that the values & principles definition of the Drupal community, as diverse as it is, serves the purpose and needs of our extensive community. 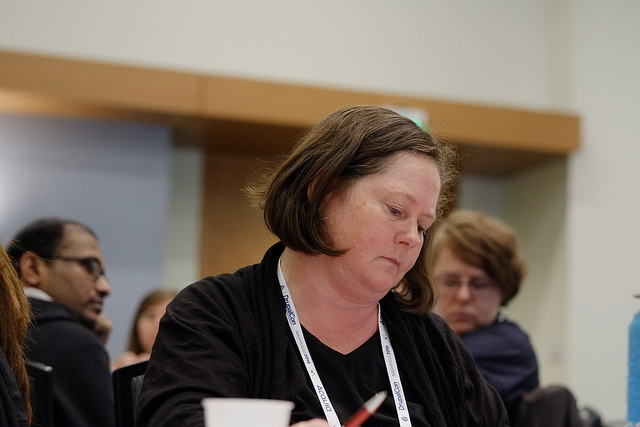 Rachel Lawson, Community Liaison at the Drupal Association, shared her story at the beginning of Wednesday’s keynote. I appreciated finding out how her feeling welcomed enabled her to become a key contributor and leader within our community. Rachel’s open and candid approach has always been a refreshing experience for me. Over the years, Rachel has always provided an open ear for me to discuss leadership challenges. It’s great to know there are people available that will listen to you and that want to help you to become better at what you do. Finally, in the keynote itself, Steve Francia shared his very inspiring journey leading various open source community projects. There were tears in my eyes when I found out that Steve had been struggling with the responsibility of being the lead of these big, successful projects, especially when he wasn’t aligned with the project's goals anymore. Steve realised he needed to step down in order to focus on what he wants to work on. I especially appreciated Steve’s honest approach to giving genuine feedback to himself and us as a Drupal community. Steve’s presentation was full of great feedback for us a Drupal community and how we have inspired him to develop the communities he is working with. The work performed together as a group of individuals towards shared goals. Everything that helps the teamwork such as leading by example, principles, coaching or being a servant leader. How do people learn to become more effective team members, followers, and leaders? When we learn to express our needs, feelings, and provide feedback. When we understand what our peers need and learn how to create safe spaces for interaction and collaboration. When we listen actively, take responsibility and are open to learning something new every day. Today is the most collaborative day for DrupalCon. At the sprints we all come together to work on Drupal initiatives. On my side, I’m looking forward to meeting the DrupalCon Europe team to discuss the program. If you are interested, check out the website to get your ticket or sign up as a volunteer. I want to get better at enabling others. In that spirit, I am looking for a new #d8rules initiative coordinator. If you are interested in helping the Rules module to Drupal 8, this might be a great opportunity for me to learn how to coach you. Feel free to reach out to me.